I haven’t posted on here for a long time. It’s not that I’ve nothing to say: I keep thinking of blog post ideas. I think it’s a time thing. And an energy thing. And the thing where you’d like a few moments to yourself so you can write, before you get too tired. Yep. Story of my life right now. But I’m not complaining. Anyway, I’ve been busy in the kitchen lately. There are lots of vegetables to process, as well as meals to prepare and snacks to make. 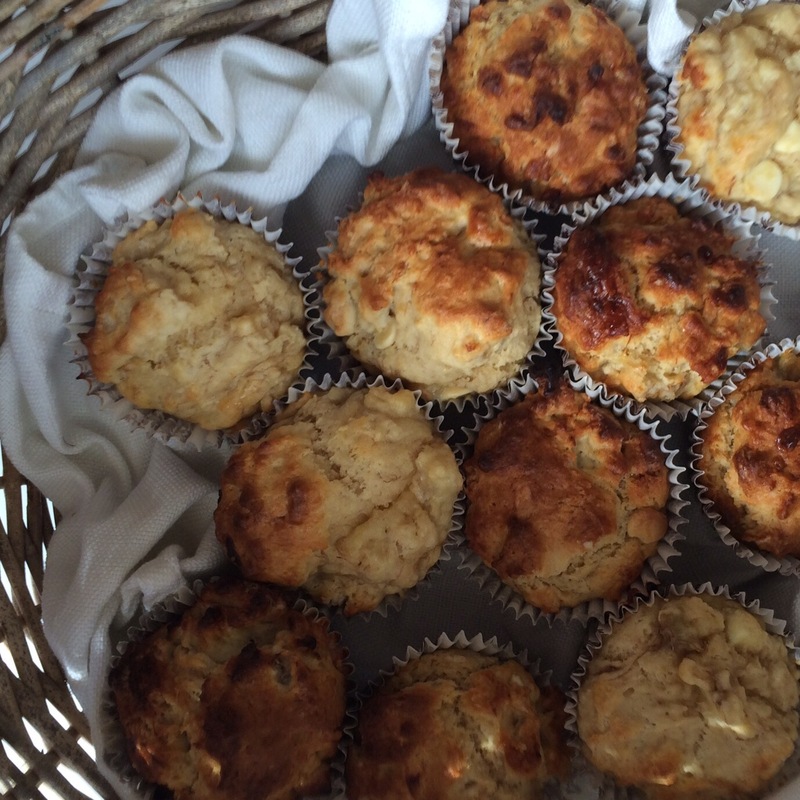 I’ve been making a range of lunch box treats: muffins, zucchini brownies, fruit loaf cake… Georgia leaves home at 7 am so I like to make things that she can stomach that early – she is not an early breakfast fan – so at least she has something in her belly before the one hour bus trek to school. Enter the easy muffins. As you know, I’m a fan of making muffins. They are quick to make, quick to bake, and end up being the perfect size for morning tea. 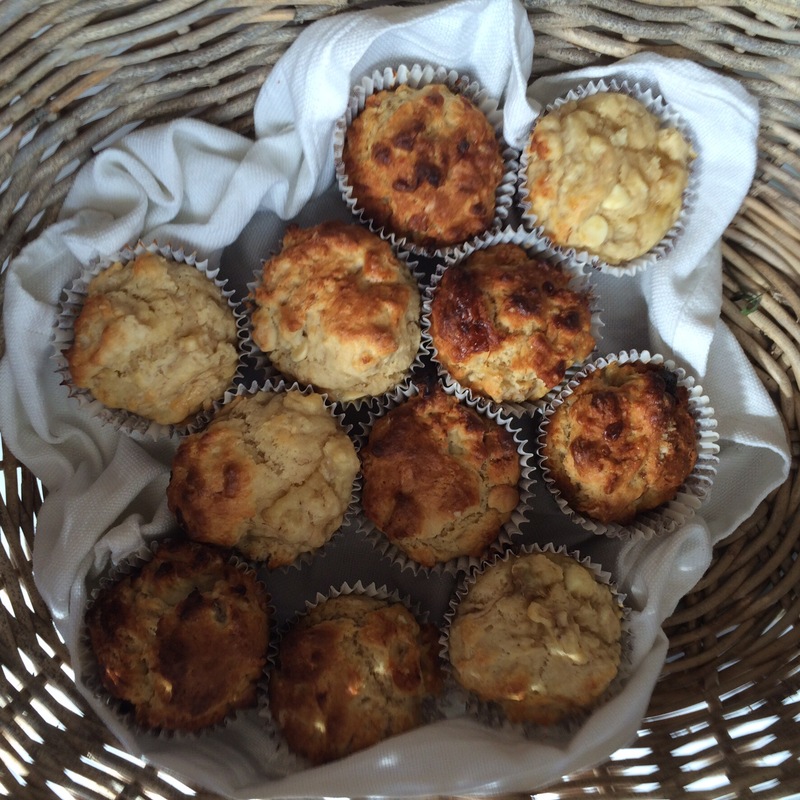 This recipe is a little bit different to my other recipes for muffins. For one, it uses less sugar, but more oil. Two, it only uses one bowl, which is great for washing up! You just combine all the ingredients, put in muffin cases, bake and eat. Yay! 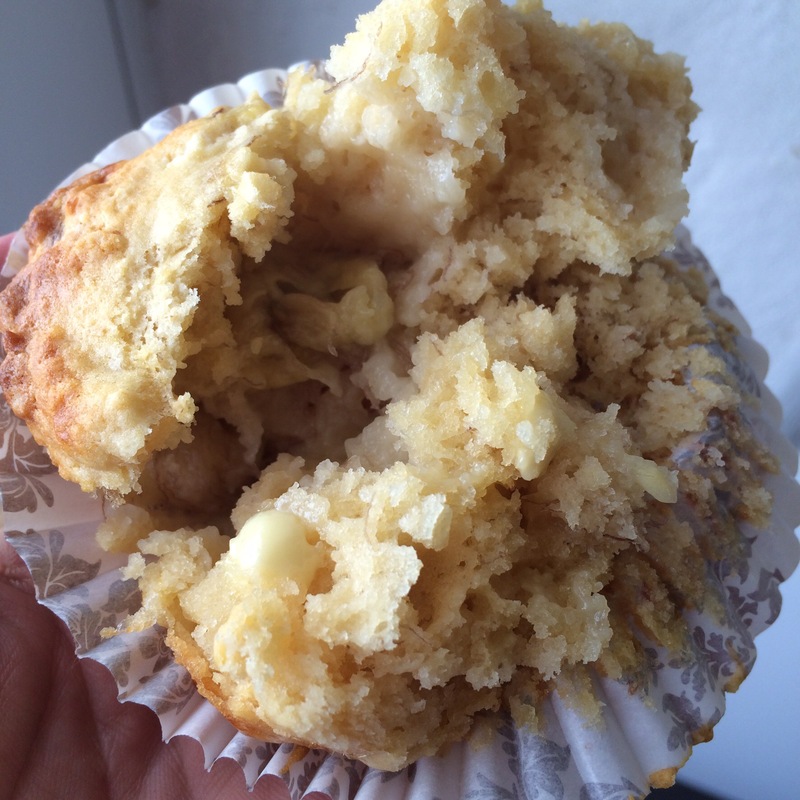 Now, the above ingredients mix up really nicely to make a plain muffin. You could just make it like that if you wanted. 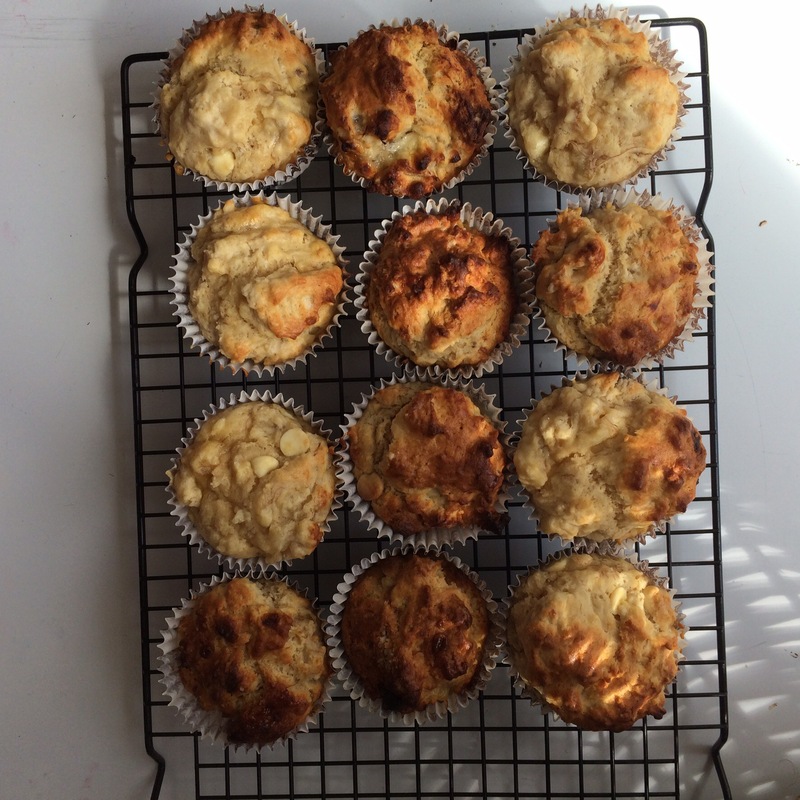 I have also made the above recipe, adding 1/3 cup jam or 1/2 cup apple sauce, mixing it in only slightly, and the muffins have been awesome. Add all ingredients into a bowl – except for 1/4 cup milk, which you can add if you think your mixture is too dry. 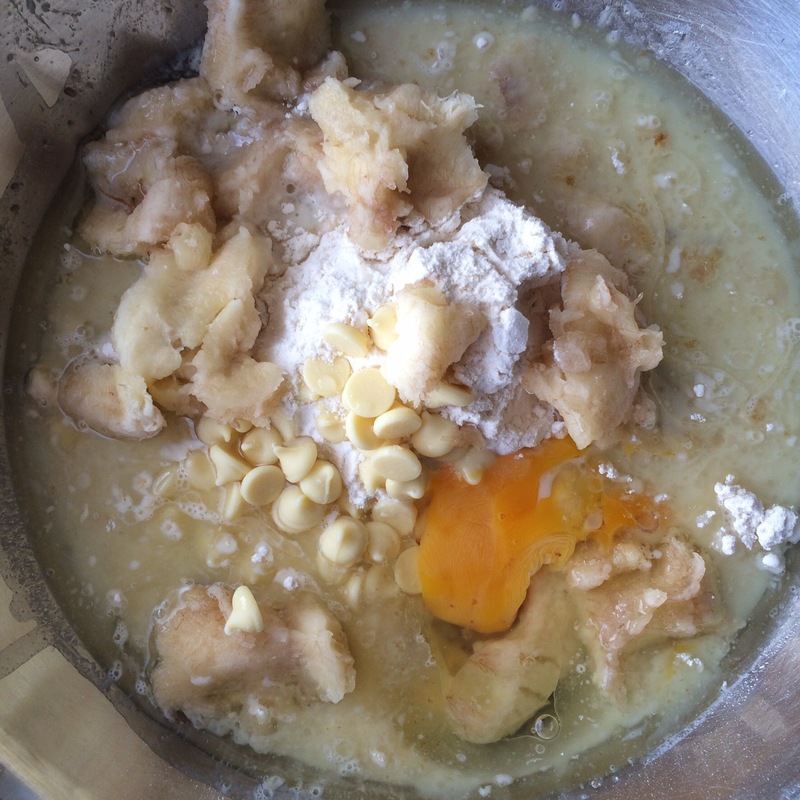 Tip: I squish the bananas in my hands when adding them to my mixture. That means I don’t need to use a separate bowl for mashing, and we get banana chunks in the muffins, which the kids tend to love. Don’t mix the muffins too much. Hugh from River Cottage recommends stirring muffin mixture only 13 times. I don’t think I stir mine that much, but when I am mixing muffins I always remember Hugh saying that. Bake for 20 minutes. Muffins will be golden on top and look pretty delicious. Leave in the pan to cool for about 10 minutes, then place them on a wire rack to cool. When completely cool, you can store muffins in an airtight container. They stay fresh for a few days. Or, you can wrap them individually and freeze them. 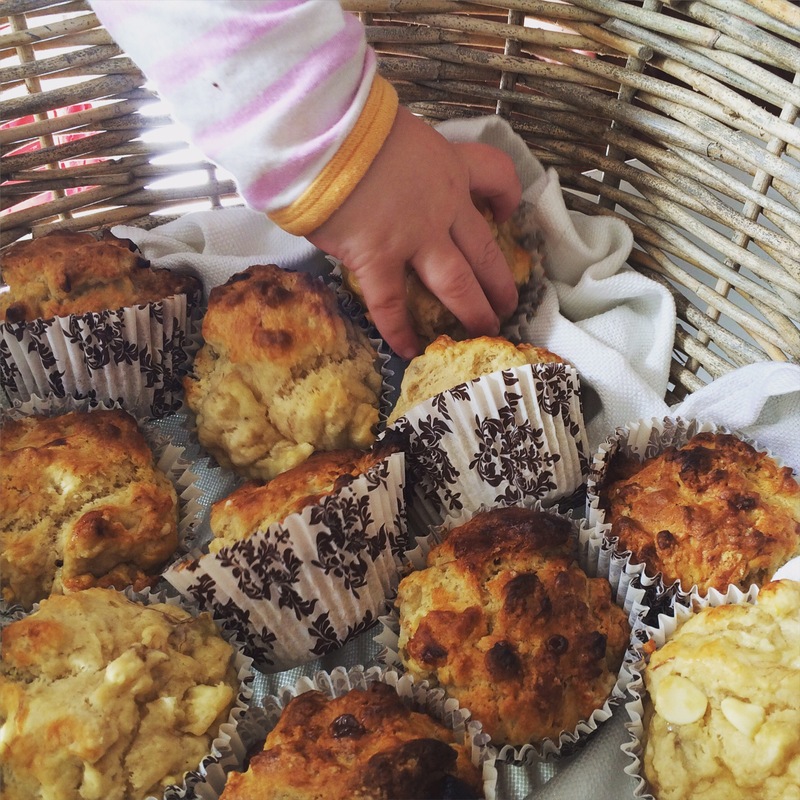 Our children go crazy for these muffins. I think you and your people might too. So go ahead, make some today. Enjoy them with your favourite tea or coffee! Cafe at home.